I will use Vultr as my server provider. It cost only 5$ a month and it will be enough for small teams. Even if you grow you can increase your server specification to match your needs. 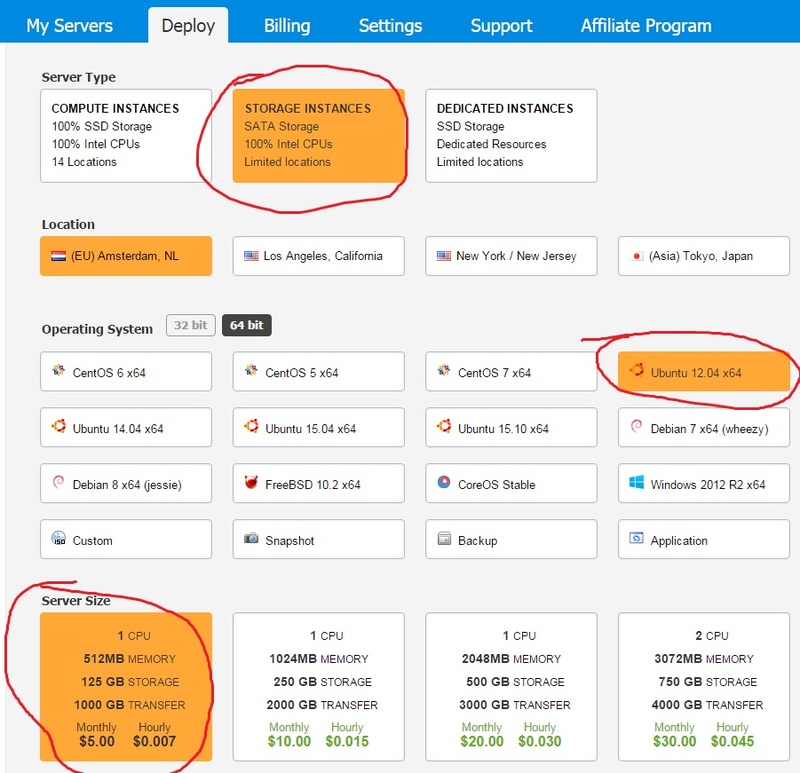 Why I’m using Vultr? Because it have big storage disc (not SDD) at really low price. It have couple of gift codes as well. And click Place Order. You would need to add your credit card. Now just click View Console. Perforce is free to use for 20 users. If you have more team members you need to pay for using Perforce. To install Perforce I will use Allar’s script which was mentioned in this great tutorial with detailed explanation how to install perforce. Your server should restart after installation and you need to login again – use root login. That’s all in server now lets move to clients! 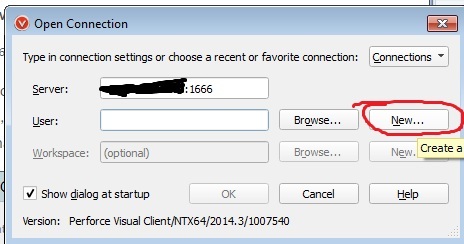 If you get alert that default server can be reached – just go forward and don’t run connection wizard. Now hit New User to create user for you. You don’t need to add password for the user. I’m leaving it blank as I’m working alone. Type something in email thou – it’s required to save the user. If you hit OK you will be prompted to upload some file into the server. Just hit cancel. Then open P4V and just Mark For Add. 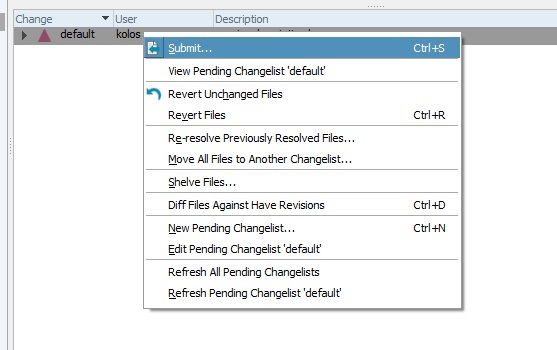 In pending right-click on your change list and submit it. Add description and submit. That will be all – your files will be uploaded to perforce. Now you can enable Perforce integration in Unreal Engine 4. Open your project file that was uploaded to perforce. If you are using 4.10 you will get alert about checking content browser files – disable this feature. You need to check if you are running out of space or memory. Open your server console. I have added 5GB project and I’m using 248 MB of 512 ram space. Other useful commands can be found here. For those that want to have mantis bug tracker installed on the server as well just follow this step by step tutorial. When you say open your project file that you uploaded to perforce….Do you mean the files in my depot folder that I copied from my unreal projects folder, or do you mean the project file in my unreal project folder? Nevermind, it looks like it is the project in the depot folder. I suspect this is where I need to develop from now. Thank you for the writeup. Very good tutorial! but I am having a very strange issue with the vultr server. For some reason I am getting tickets that I have used 800 GB of bandwitdh when I have not used the server for some days. Do I have to stop the server everytime I don’t use it? I have no idea what is happening, and I followed the tutorial just like you have shown. Thanks for this helpful post. I seem to be running into an issue while connecting to the server. Connect to server failed: check $P4PORT” and WSAECONNREFUSED error. Any help would be much appreciated. Replying more for posterity, but WSAECONNREFUSED means the connection was refused, likely because of a firewall. In the Vultr settings, you’ll need to allow for a TCP connection and then apply it to the server. Still doesn’t seem to help for the problem I got RIGHT afterwards, which is a WSAETIMEDOUT. Next PostNext How to create icons with alpha?